• Switch now and feel the difference! Did You Know that Sulphates are also used in cleaning clothes & utensils? Do u want to subject your hair to such harsh chemicals? 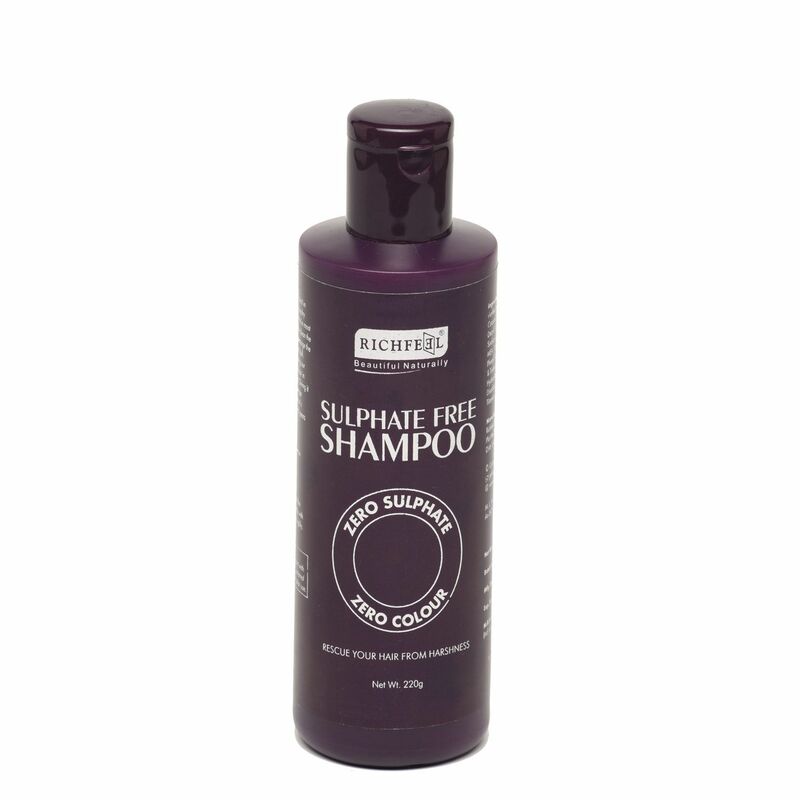 Sulphates are the damaging foaming agents in most shampoos that clean hair but unfortunately dry the scalp and damage the hair structure. 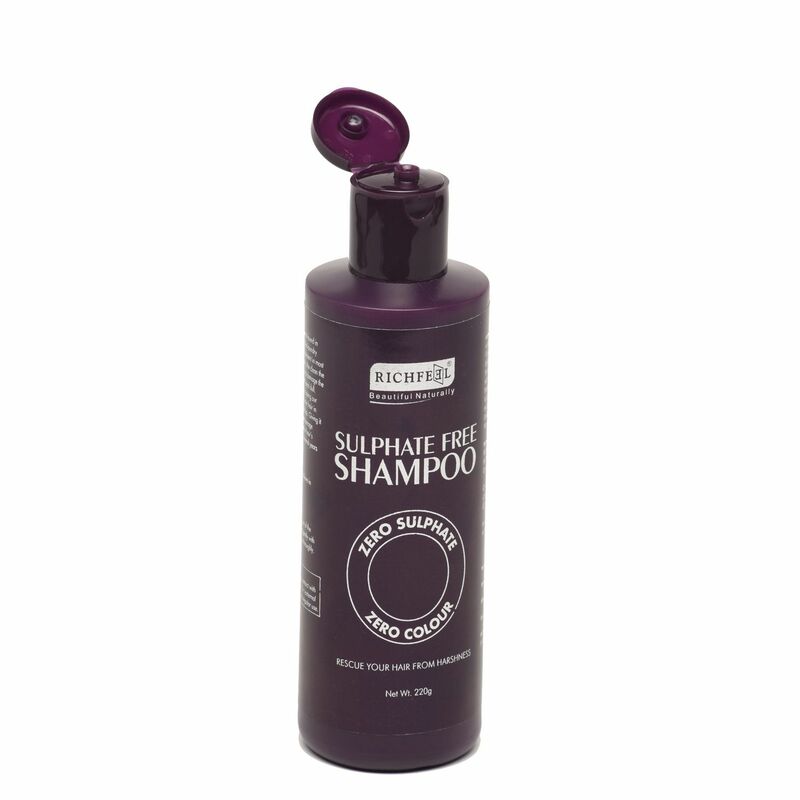 Rescue your hair from further stress by using our Sulphate-Free Shampoo that wraps your hair in hydration and is designed to reduce frizz, giving it incredible softness and shine. We encourage effective cleaning without violating your hair’s natural moisture, keeping it looking several years younger. When it comes to quality, we don’t believe in bargaining. You shouldn’t either. Ingredients Purified Water,Sodium Cocoyl Glycinate, Cocoamidopropyl Betain, Polyquaternium 7, Cocomonoethanolamide, Sodium Cocoyl Isethionate, Ethylene Glycol Distearate, Phenoxyethanol (and) Methylparaben (and) Ethylparaben (and) Butylparaben (and) Propylparaben (and) Isobutylparaben, Penthenyl Hydroxypropyl Steardimonium Chloride, Perfume, Disodium EDTA, Tea Tree Oil, Citric Acid. 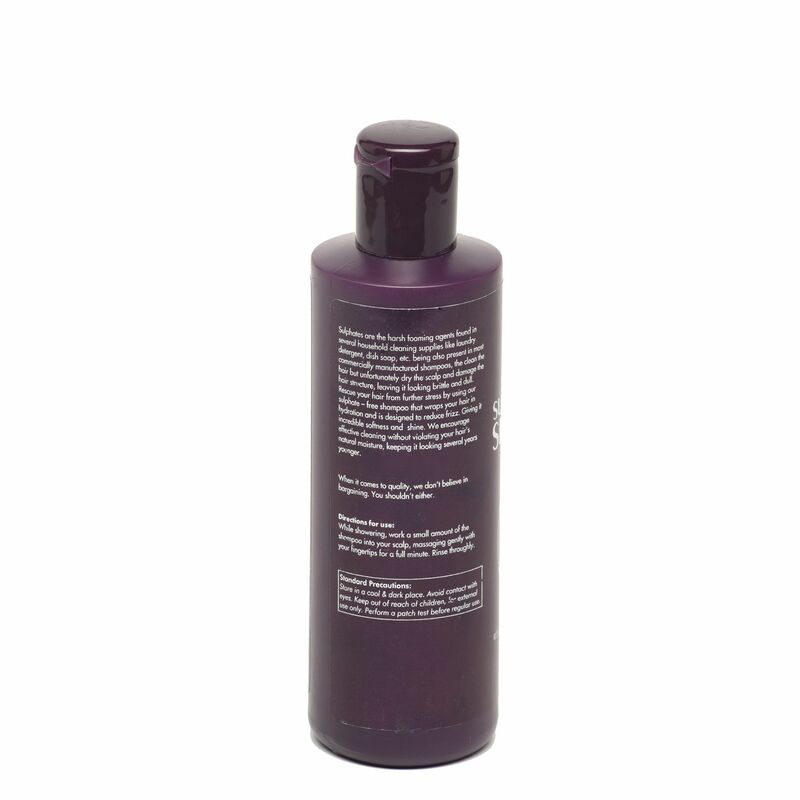 How to Use While showering, work a small amount of the shampoo into your scalp, massaging gently with your fingertips for a full minute. Rinse thoroughly. 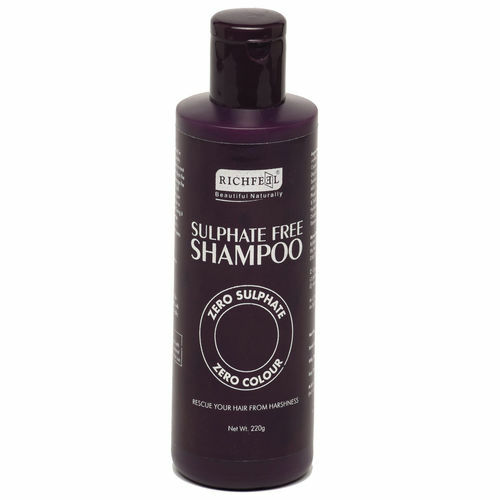 Special Features • Sulphates are the damaging foaming agents in most shampoos that clean hair but also dry the scalp and damage the hair structure • Rescue your hair from further stress by using Richfeel Sulphate-Free Shampoo • This shampoo wraps your hair in hydration and is designed to reduce frizz, giving it incredible softness and shine • We encourage effective cleaning without violating your hair’s natural moisture • Switch now and feel the difference!